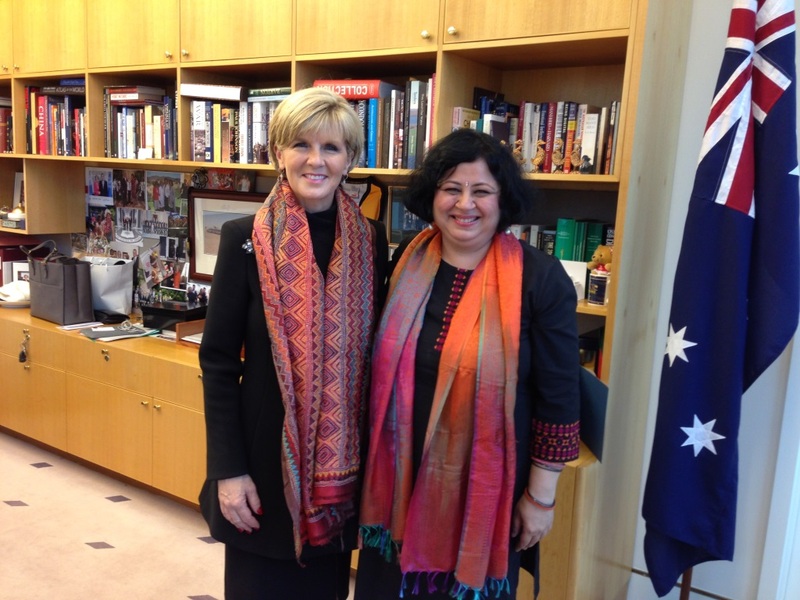 I had the great joy of meeting the Minister for Foreign Affairs of the Government of Australia, Ms Julie Bishop on 2nd September, 2014. 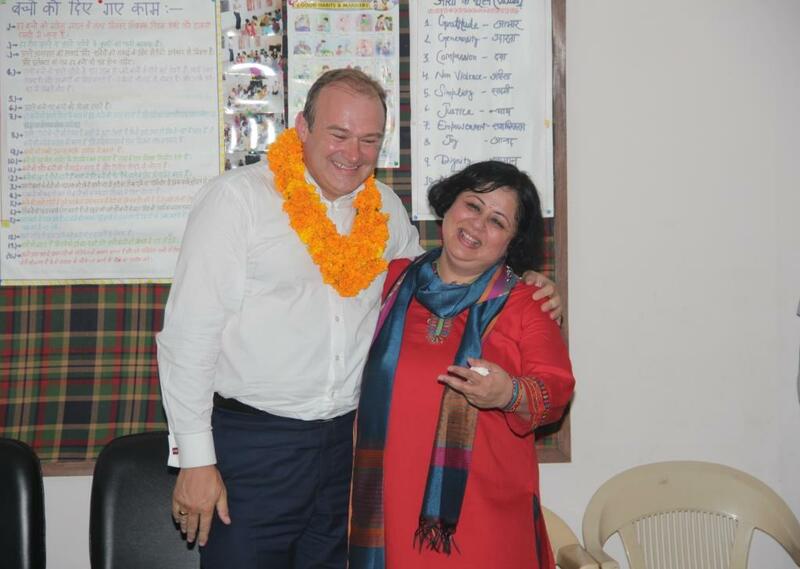 She remembered her visit to Asha earlier in the year with much fondness and was filled with admiration for the work and for what the students had achieved. 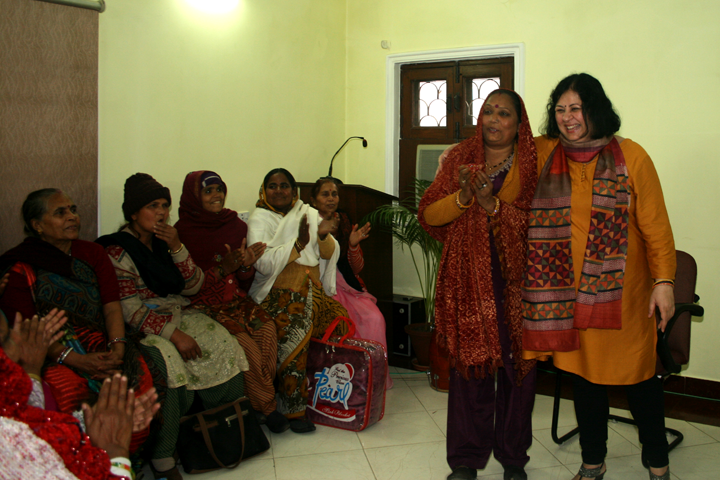 She was delighted, when I presented her with a group photo of herself with a group of Asha university students and gave it pride of place on her photo wall right next to a picture of herself and Barack Obama. 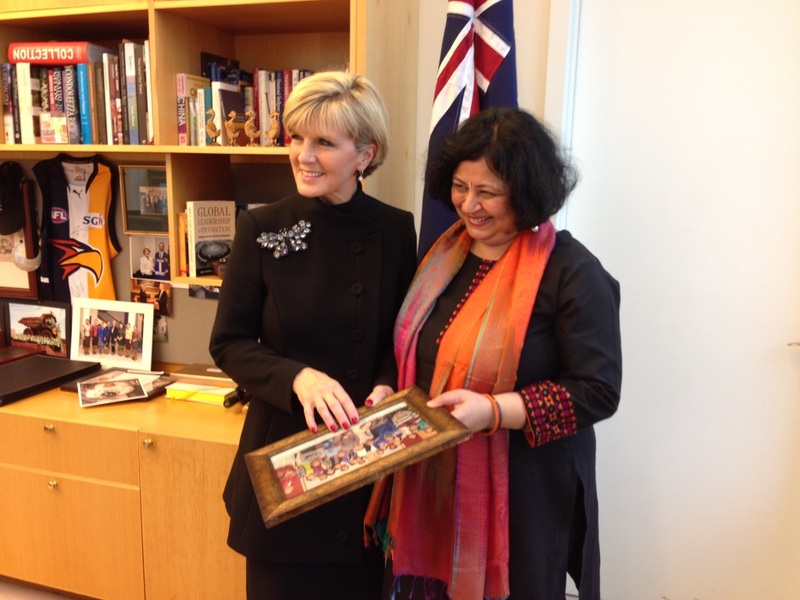 She promised continued help and support for Asha as well as for Friends of Asha Australia in the times to come. She also promised to wear the stole that I draped around her, especially at Indian events. She is a lovely human being filled with warmth and kindness. It was a matter of great joy and delight for me to meet Mr Edward Davey, Secretary of State for Energy and Climate Change, UK on Monday 25 August 2014. My team and I welcomed him to an Asha slum community called Kanak Durga colony. What a wonderful engagement we had! 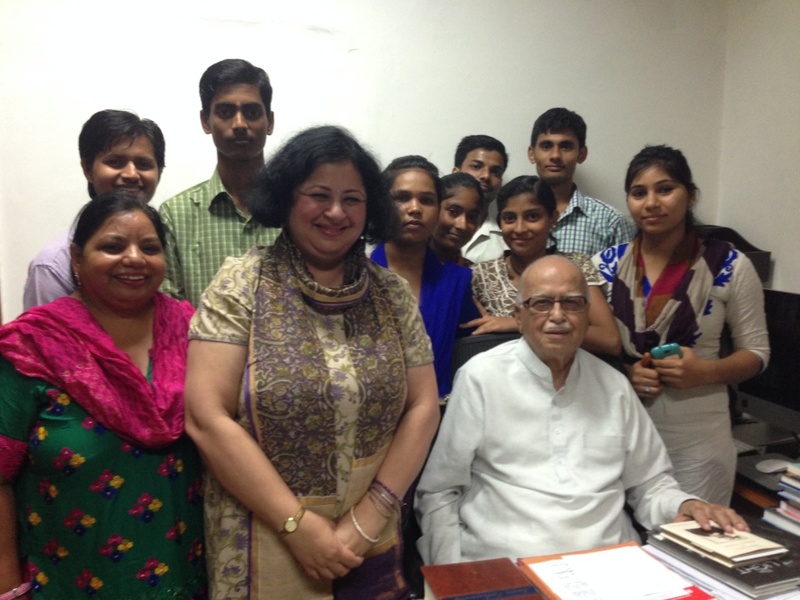 The atmosphere was charged with energy and enthusiasm and he showed great interest in the work of Asha. He played a lot of cricket with some of our university students, hit a few sixes and finally got bowled. Thank you Minister Davey for visiting us! The dictionary words for joy are – gladness, cheerfulness, exultation, rapture, pleasure, delight. However, the word joy has a far deeper meaning. It does not indicate a temporary feeling of pleasure or happiness, but rather a constant state of well being, a continuous journey of flourishing. Joy can be experienced in so many ways, such as feeling the love and closeness of God, and of those we care for, feeling grateful for our current circumstances, feeling at peace, serene, and savouring those moments, or being inspired by great leaders. It is an emotion that opens us wonderfully, and changes the boundaries of our hearts and minds. It makes us more creative, more resilient, more trusting and more trusted. It helps us to look back on the past with gladness, look into the future with hope, and enjoy and cherish the present. Joy must be cultivated practically on a daily basis. How do we do this? We can engage with our life and and work in ways that absorb and inspire us. When we identify our greatest strengths, we can consciously engage in work and activities that make us feel most fulfilled, productive, and valuable. We also flourish when we have a strong network of relationships around us, with family, friends, co-workers, neighbours, and other people in our lives. When we share our joy with those we love, we feel even more joy. We depend on the people around us to help us maintain balance in our lives. When we are alone, we lose perspective on the world, and we forget that others may be bearing greater burdens than our own. But when we let other people into our lives, we remember to give as well as take. When we belong to a community, we have a network of support around us, and we are part of it. We are at our best when the work we do is consistent with our personal values. From day to day, if we believe our work is worthwhile, we experience a sense of well-being and confidence that we are using our time and our abilities in meaningful ways. A sense of accomplishment is also a very important element of joy. To experience a sense of flourishing, we must look back on our lives, and feel that we have run the race well. This is possible only when we set ourselves tangible goals, and work towards them. We can then anticipate and build hope for the future. Past successes make us feel more confident and optimistic about future attempts. It is good to be proud of one’s accomplishments. We will then be motivated to work harder, and achieve more next time. We may even inspire the people around us to achieve their own goals. What a wonderful vision of joy! May you live life to the fullest through the experience of joy.